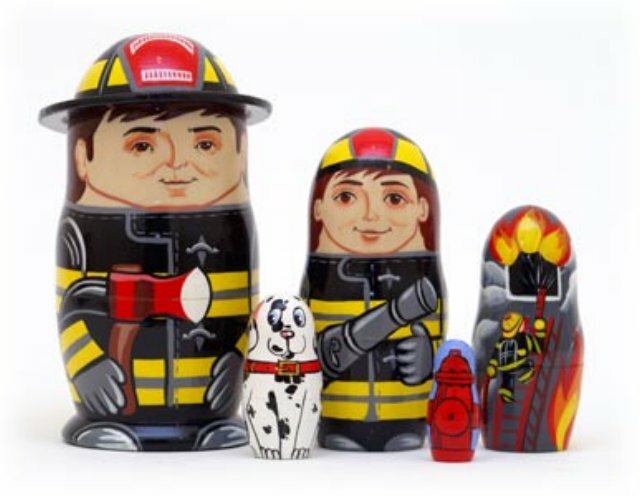 This 5 piece doll set features 2 fireman, a fire, their trusty Dalmatian, and a fire hydrant. A special 3-D hat rim on the top doll anchors the design. A Golden Cockerel exclusive, painted in St. Petersburg.